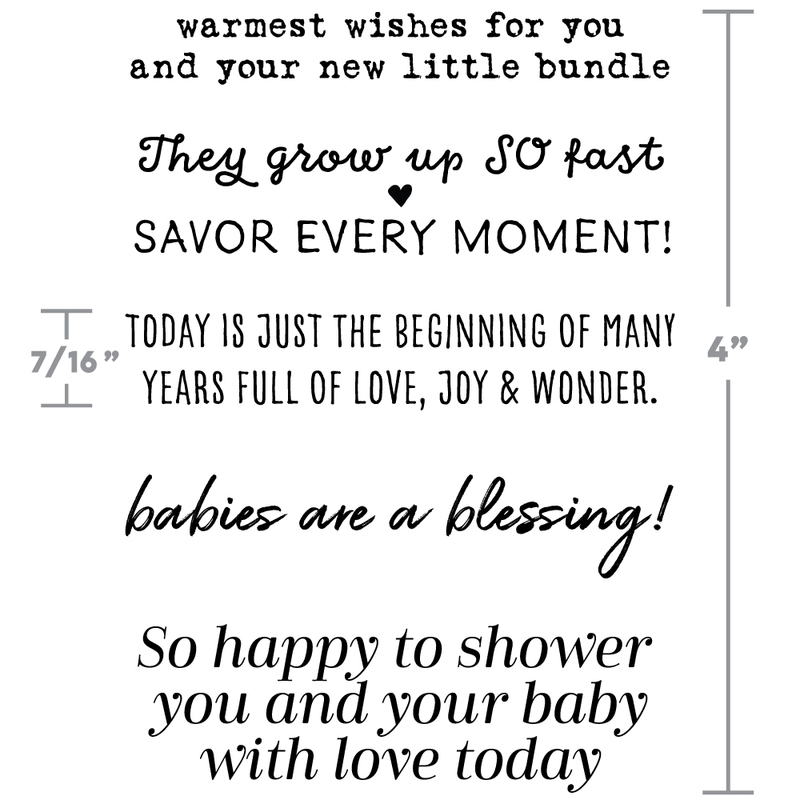 When you have a loved one with a bun in the oven, or just gave birth to a wonderful bundle of joy, then you need some special sentiments for a baby shower or congratulatory card. 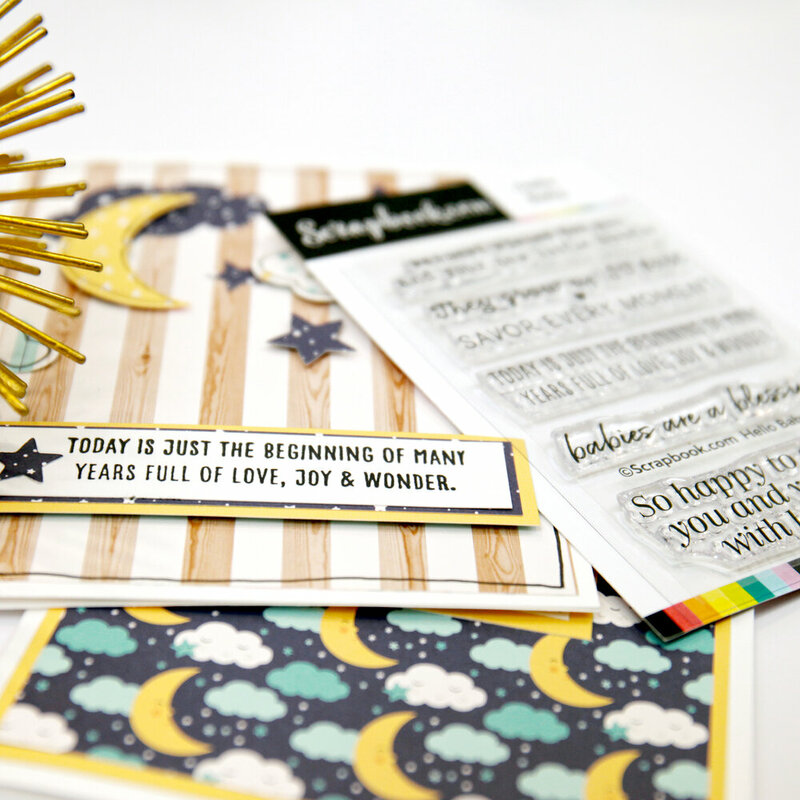 The Hello Baby stamp set is perfect for this joyful life event and beginning of a life of possibilities for that special little baby! Create homemade baby shower invitations, thank you cards, birth announcements, or congratulatory cards for mom, dad, grandma, and grandpa with these darling and special sentiments. Grab this must-have set to keep on hand to welcome a special little baby into the world with something handmade from the heart. 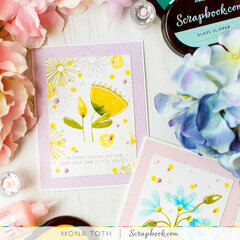 These wonderful stamps are the product of talented crafters from right here in our home state! 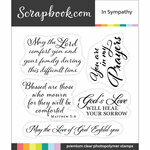 This delightful set of five premium clear photopolymer designer stamps comes on a convenient 3” x 4” storage sheet. Help celebrate the joy of a new baby boy or baby girl in the world when you create cards, layouts, framed decor and more with these baby-themed stamps. They grow up SO fast - SAVOR EVERY MOMENT! 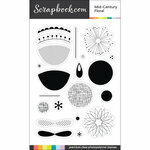 Great stamps for baby projects, cards, etc. Scrapbook.com stamps are high quality clear stamps. 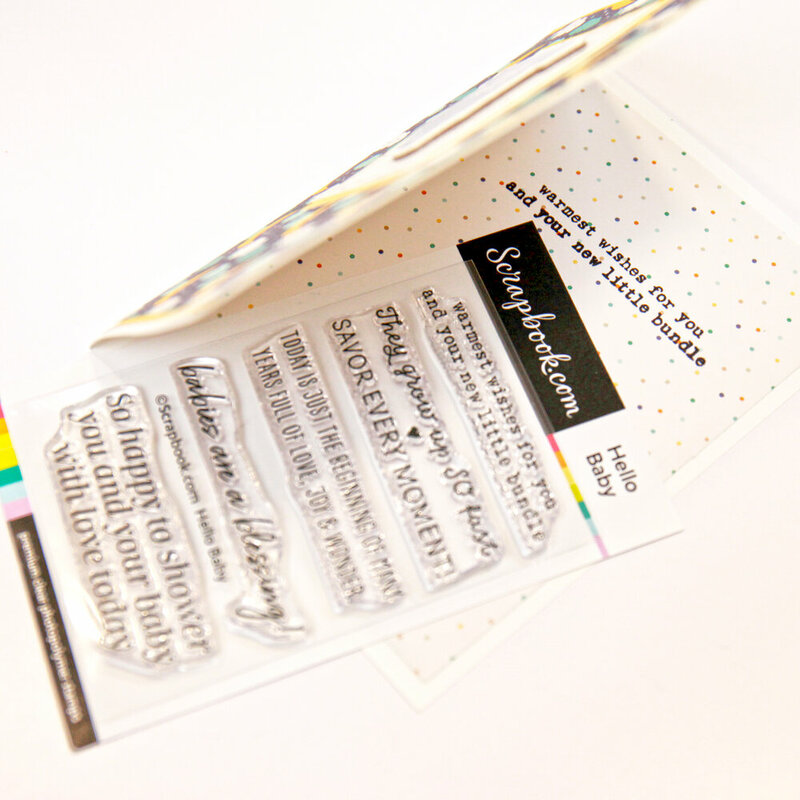 They stamp perfect right out of the package with die and pigment inks. I love that the sentiments come in different sizes and styles. This is the perfect little stamp set to create cards and document new babies. 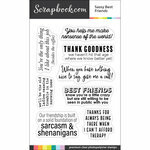 Love the font love the sentiments, I just love everything about this stamp set. 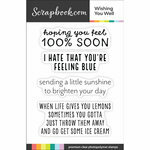 A perfect little sentiment set to combine with image stamps you already own. 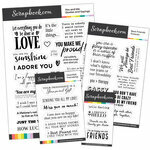 These make for quick and easy baby cards...or small titles on scrapbook pages. 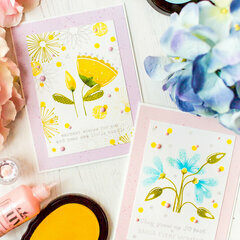 Perfect sentiment stamps! They are high quality and really accurate! Love these new photopolymer stamps. 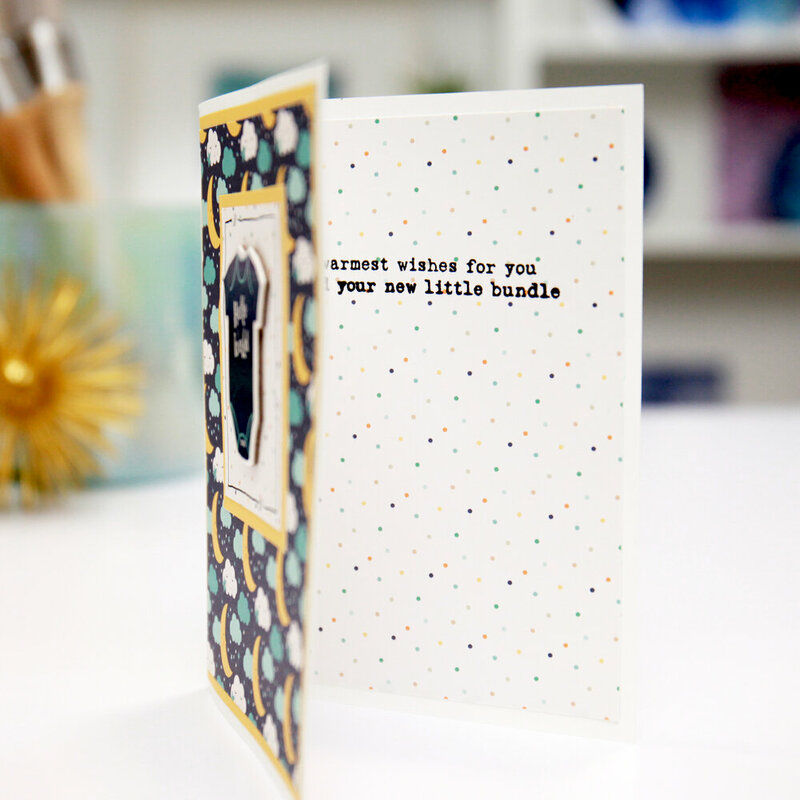 The perfect sentiments for baby showers and new baby cards. 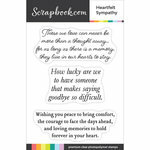 Scrapbook.com helps me to create amazing cards.